Fall is officially upon us, Minnesota! And while a lot of us can get lost in the back-to-school grind or our excitement for Halloween, we’ve got to remember to enjoy these last days of warmer weather. Soon enough, the state we know and love will become an icy tundra where even the cutest infinity scarf can’t protect you from frostbite on your cheeks. Don’t have a cabin to escape to on the weekends? 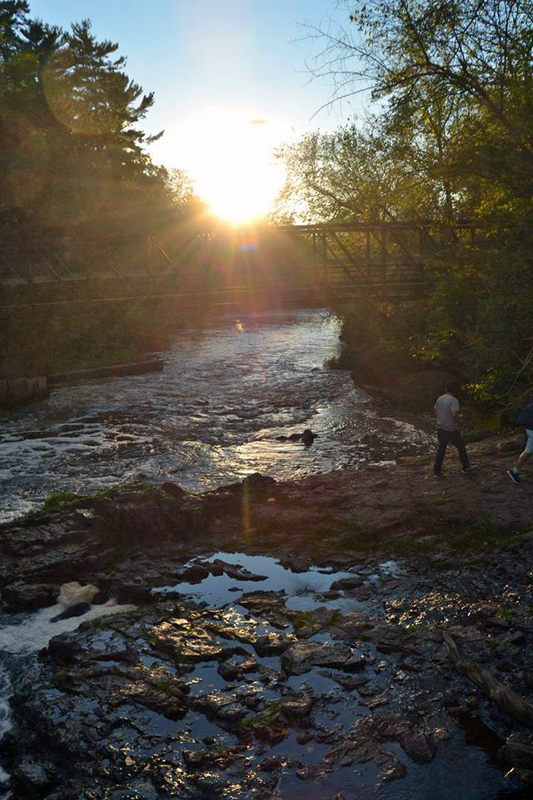 No worries—our fair Twin Cities metro has endless scenic possibilities for you to take advantage of through hiking! You may say that hiking is just walking, and you’re not wrong, but it’s also outdoors where it’s beautiful, there’s fresh air, and you might encounter a few local wild creatures (or at least a cute pupper or two). So here are a few local favorites to get your hikes in before winter. Almost every Twin Cities native knows this one and has probably visited it at least once, so why not enjoy its trails again? It’s definitely a popular hiking location, so you’ll see plenty of others taking in the beautiful scenery of the falls, but the more the merrier! This also means increased chances of running into some cute doggos and puppers while on your hike. This hike can be brief, just to visit the falls, or you can extend it by continuing on the trails to see what else the park has to offer. There is a good amount of parking available in the official lots, but there’s also plenty of street parking in the area just a short walk away. Just outside of Minneapolis, this park trail is a local favorite among the nature junkies. 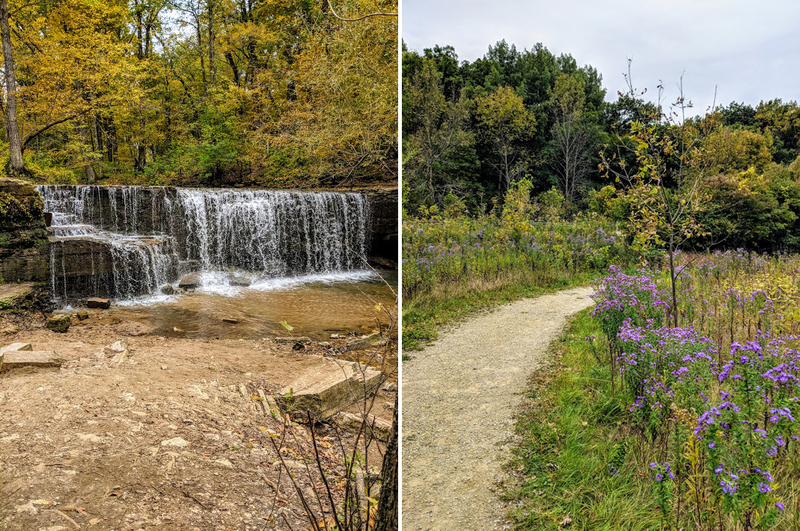 With just over five miles of trail, it’s also great for biking and has a small playground nearby in case you bring the kiddos along. And since it’s a bit outside Minneapolis, parking is a bit easier—it has its own lot available, plus you don’t have to fight the busy city traffic. And should you want a bit more activity after your hike, there’s plenty else to do at this park, including golfing, disc golf, archery, and more! Battle Creek has a lot to offer for people with different interests. The trails are available for walking and biking, and there is also a separate dog park for the dog lovers out there. Parking is simple here as well, with its own lot, and there is lots of space for picnics and outdoor activities if you want to make a whole day out of it. It’s just outside the capital city, so you get to escape the busy streets and feel like you’re lost in the wilderness for a day without having to go too far. Historic Fort Snelling is a popular spot to visit on its own, but some might be surprised to find a beautiful state park nearby, abundant with hiking trails! Along with normal trails, there is also a geocaching program available, and to mix up your hike a bit you can rent bird-watching and fishing tools from the park and visitor center. If you’re looking to escape the cities, Taylors Falls is a northern adventure about an hour away from the metro. The beautiful scenery you’ll encounter is definitely worth the drive. Along with hiking, you can also go canoeing, rock climbing, and fishing, plus look down into the amazing (and terrifying) depths of one of the deepest known glacial potholes in the world. And if you’re feeling extra adventurous, you can hop the border into the Wisconsin side of the park for an equally beautiful landscape. Yes, this one is technically in Wisconsin, but since it’s so close to the Twin Cities and such a beautiful state park, I’m going to let it slide. Can you say “waterfalls”? Visitors can choose to do the normal hiking route, and there’s also an option to rent canoes or kayaks when the water levels are high enough. And if Hudson is a bit too far of a drive for you to come and go in one day, there are campgrounds nearby within the state park itself. This rustic park is about an hour south of the cities. With multiple trail options, you can take a quick 30-minute hike or continue on for several hours, depending on your desires and comfort level. There is a section available for picnicking and resting, along with a space you can rent out for a wedding or a family gathering, and the park office offers binoculars and bird kits to rent if you want to spice up your hike with bird watching. Don’t forget to at least hike the hidden falls trail so you can snap a great photo of the hidden waterfall before you leave. Can you even call yourself a true Minnesotan until you’ve been to Lake Minnetonka? If you haven’t, now’s your chance! The iconic lake has its own 15-mile trail to hike, bike, and enjoy the lovely view. And if running is more of your thing than walking, Minnetonka is a popular running location as well. Because of this it’s an easier hike than most, so it’s not the best choice if you really want a challenge, but the location totally makes up for the lack of tree-root dirt trails. And the lovely tree presence means some amazing fall leaf colors! Hiking protip: If you plan to visit and hike a lot of the state trails, consider investing in an annual pass, which is only $35 and is good for a whole year. Otherwise, you can purchase a pass for one time use for only $5. Haley is a Minnesota native with a BA in English. She spends her free time gaming, cosplaying, kickboxing, reading, writing, and walking all of the puppers!